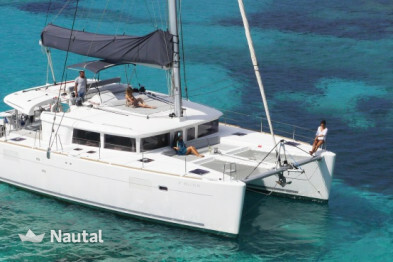 Catamaran Belize 43, impeccable. Re-conditioning in January 2018. 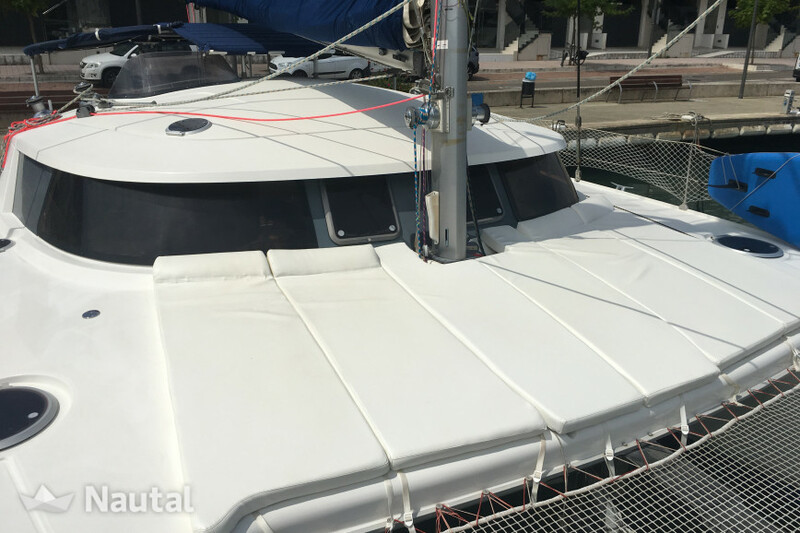 New motorization 2018, fresh painted, 4 double cabins, 2 bathrooms, fully equipped. 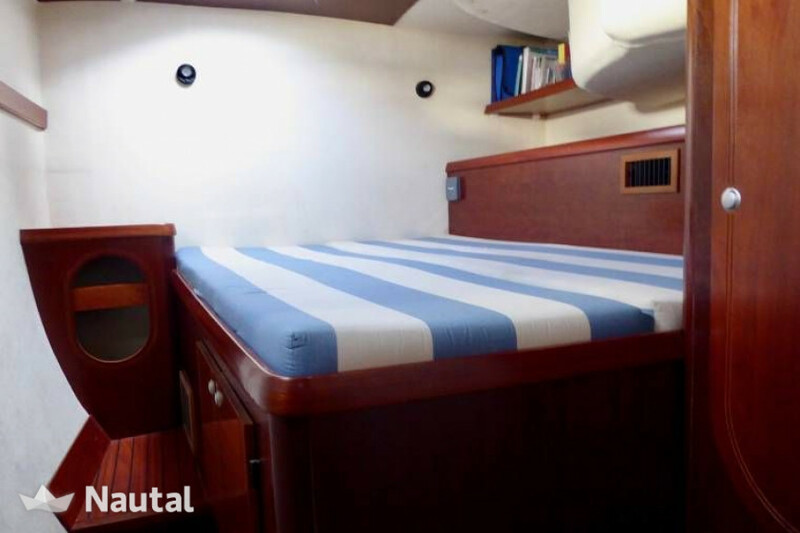 Air conditioning, Watermaker 90 liters / hour, electric toilets, TV * DVD, CD, 2 refrigerators (freezer), Electronics, snorkel equipment, 2 torpedoes seascoters, paddle surfing, 2 hammocks, auxiliary 3, 40 of length with 20 Hp. Cushions and backs of fabric in bathtub. Bow cushions, Very comfortable, fast and comfortable. Ideal for families. 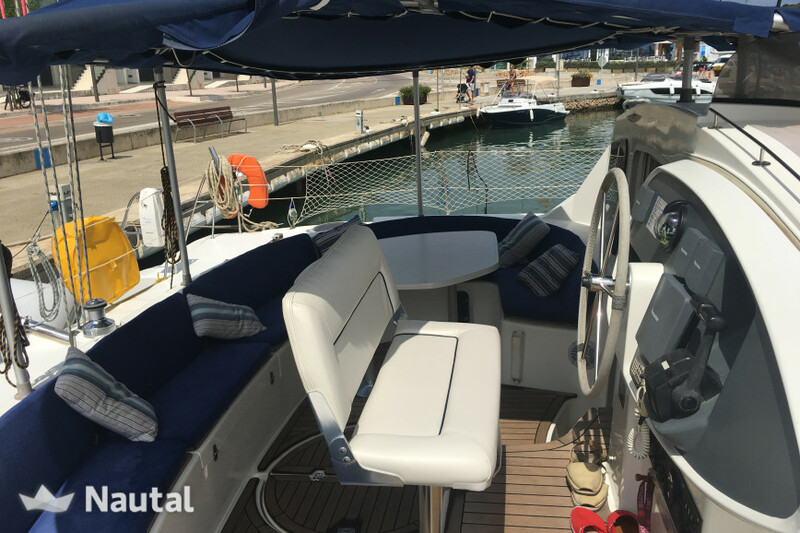 It is rented with professional skipper, it is always the same, kind, thoughtful and knowledgeable about the boat and the navigation area. 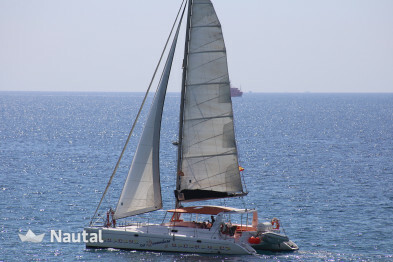 20 years of experience .. Base Port in Vilanova i la Geltru (Barcelona). Prices with VAT included (except Pattern). 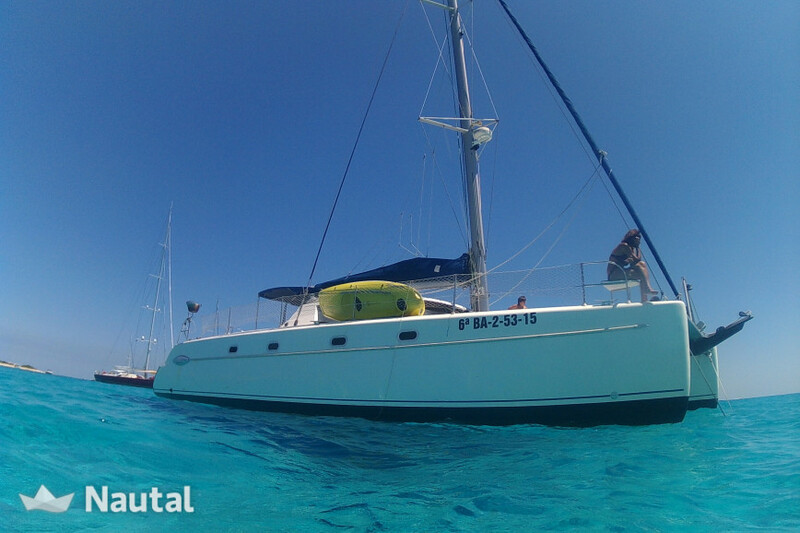 Catamaran Belize 43, in excellent condition. 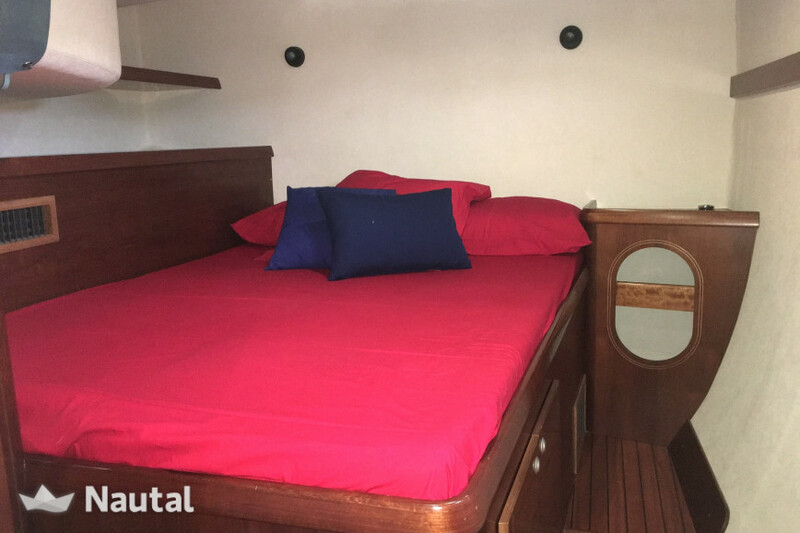 Completely refurbished in January 2018 including new engines and new hull paint. 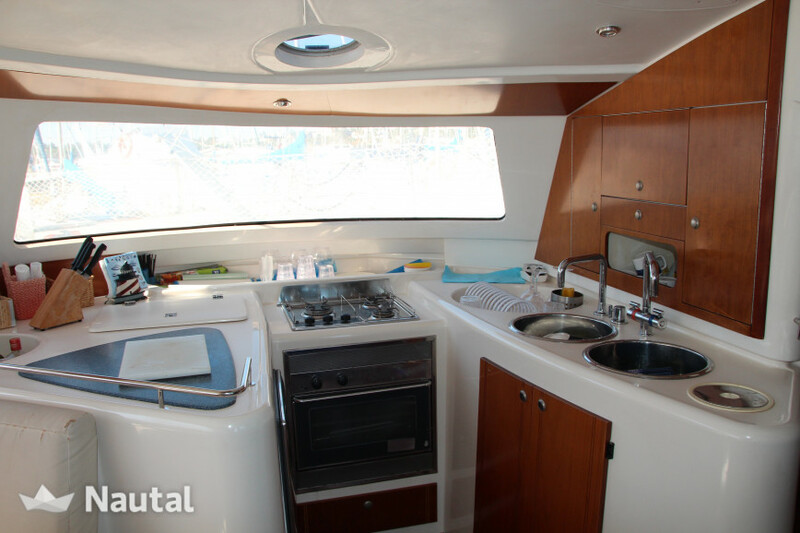 4 double cabins 2 fully equipped bathrooms with electric toilets. 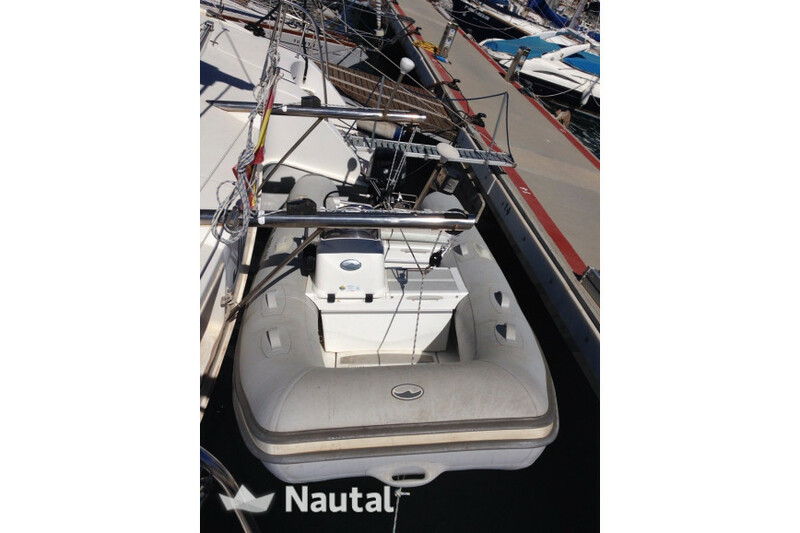 Dinghy 3,40m & 20 Hp. Full nav electronics (GPS plotter, wind, etc.) Air conditioning, Watermaker / desalinator 90 liters / hour. Flat screen TV; DVD & CD player. 2 Fridges (freezer). 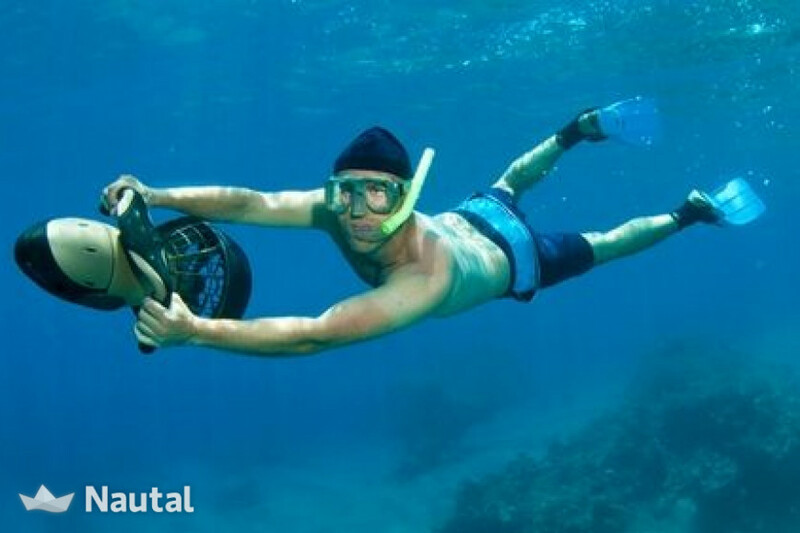 Snorkel equipment. 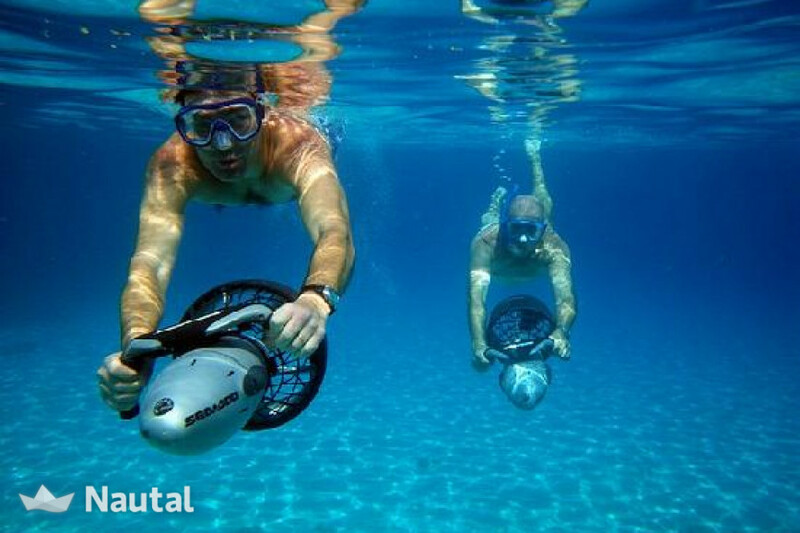 2 underwater scooters. 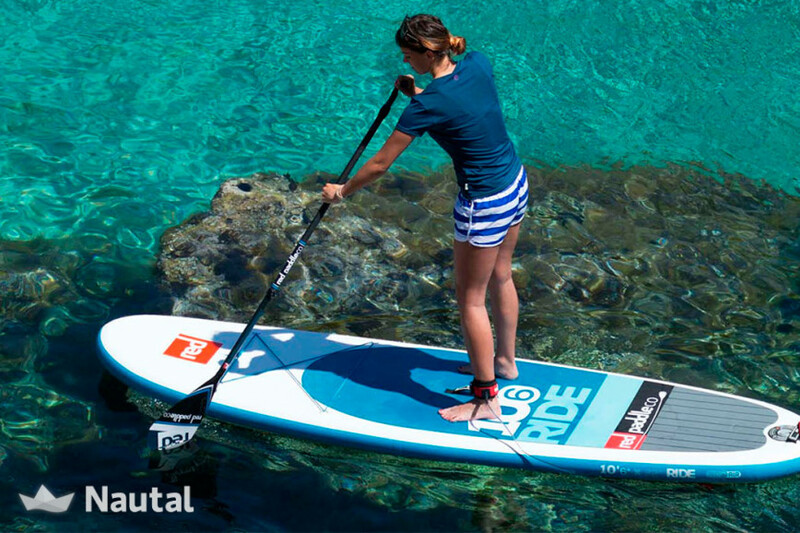 Paddlesurf. Outside cushions and backrests. 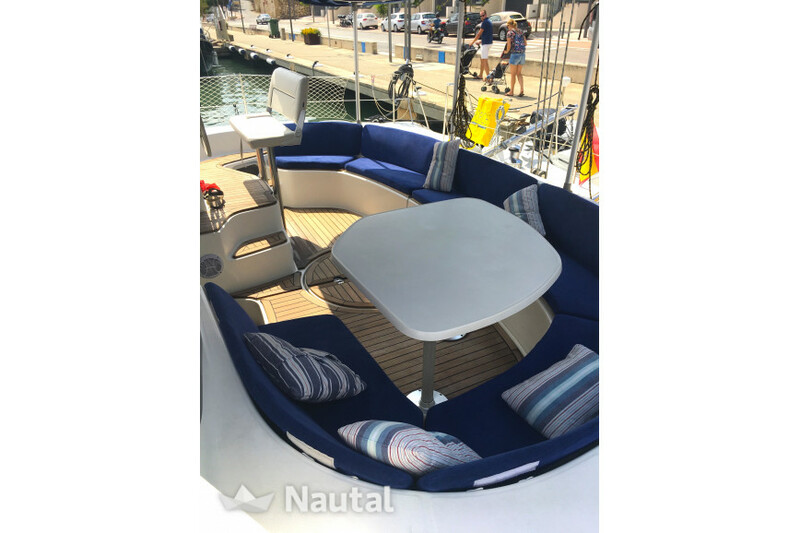 Bow cushioned sun lounge, Very fast and comfortable. Ideal for families. 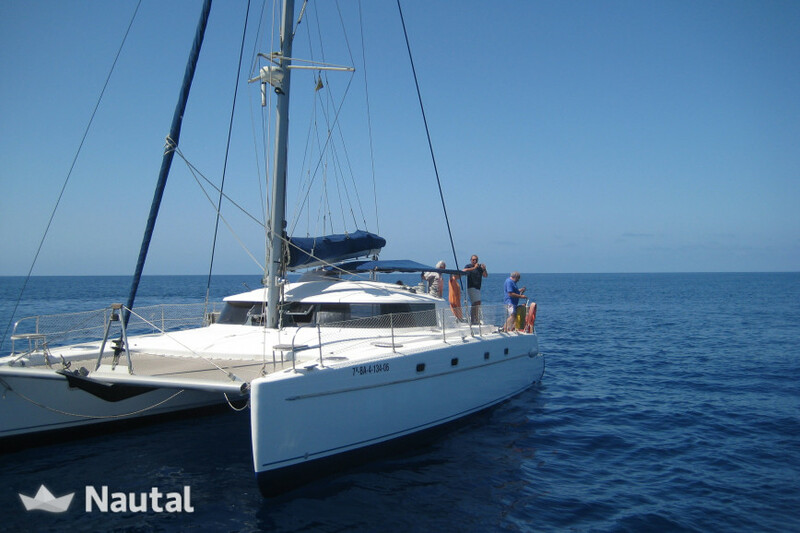 The boat is rented with a professional, kind, thoughtful and knowledgeable skipper with more than 20 years of experience. Base Port: Vilanova i la Geltru (Barcelona). Prices with VAT included (except Skipper). Gracias Miriam. Podéis volver cuando queráis. Fue un verdadero placer teneros a bordo. 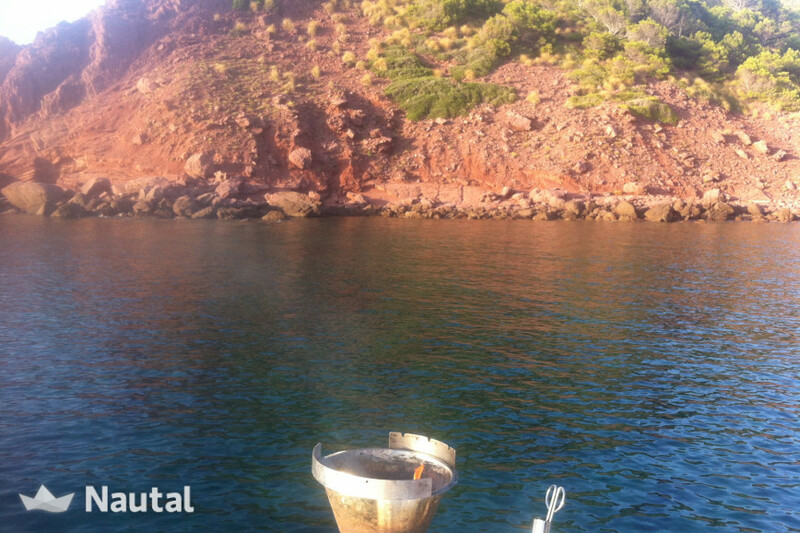 Juan et Gerardo have been so helpful, the boat was great, it was a perfect day! Léa. Thanks for your comments. You know that you can come back wherever you want. Gerardo and I will be very pleasant. 27 cv x 2 H.P. 0.79 GPH Minimal fuel consumption! 220 current without connection to port. batteries with fast charge. 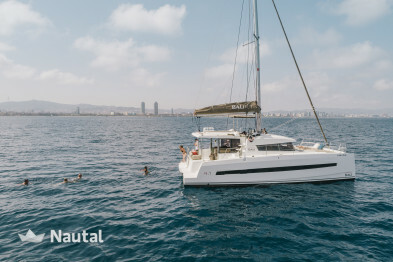 Early booking discount 20.00% for bookings made more than 90 days before charter From Oct 1, 2018 until Oct 26, 2019 , for all bookings for more than 7 days of charter (discounts cannot be combined) . 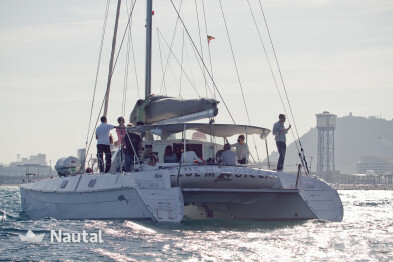 Long term discount 20.00% for bookings From Sep 29, 2018 until Jun 29, 2019 , for all bookings for more than 14 days of charter (discounts cannot be combined) . 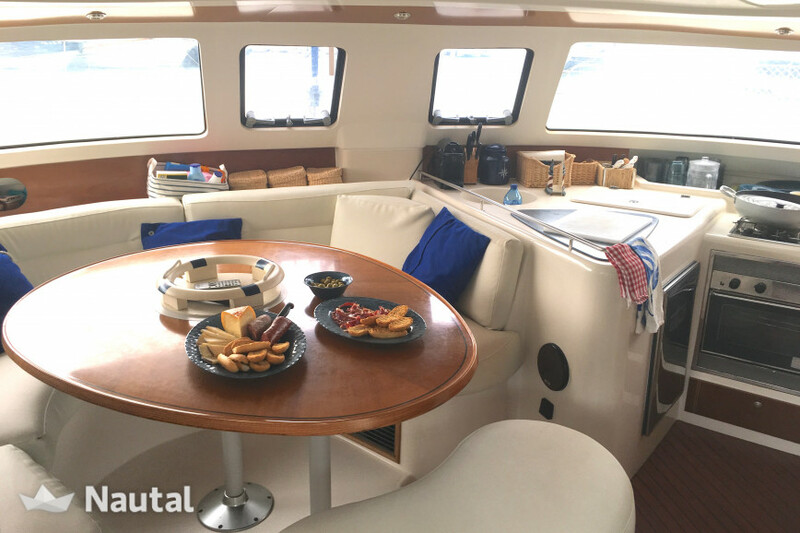 Last minute discount 15.00% for bookings made less than 7 days before charter , for all bookings for more than 7 days of charter (discounts cannot be combined) . Skipper is mandatory and costs $117 / half day or $175 / day. The reservation is only considered formalized once 100% of the rent is charged, in advance. The pattern is mandatory and is not included in the rental price. The embarkation or disembarkation in Villanova is in the mooring. 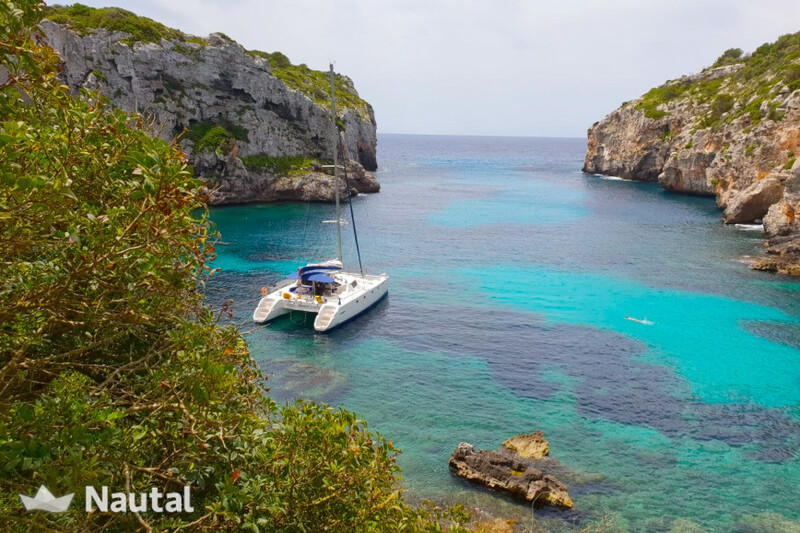 If you wish to start in the Balearic Islands or any other place on the nearest coast, this subject to availability of the boat and in some cases may have an extra cost of 150 euros per transfer between mainland and Balearic Islands. 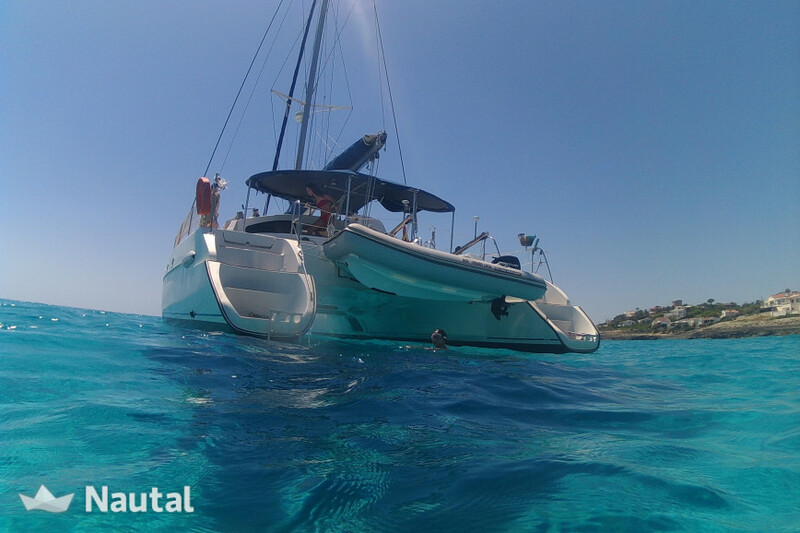 Boarding and disembarkation in the Balearic Islands is always carried out by means of the auxiliary vessel. Upon arrival, our Patron will offer you a welcome pack and will explain the best options or alternatives to make your stay more pleasant. The client, if hired, is responsible 100% of all gadgets, paddle, scooter, auxiliary, glasses, diving ducks, etc ... the loss means the replacement of the same. Spain, Barcelona. Harbour: Vilanova i la Geltrú. 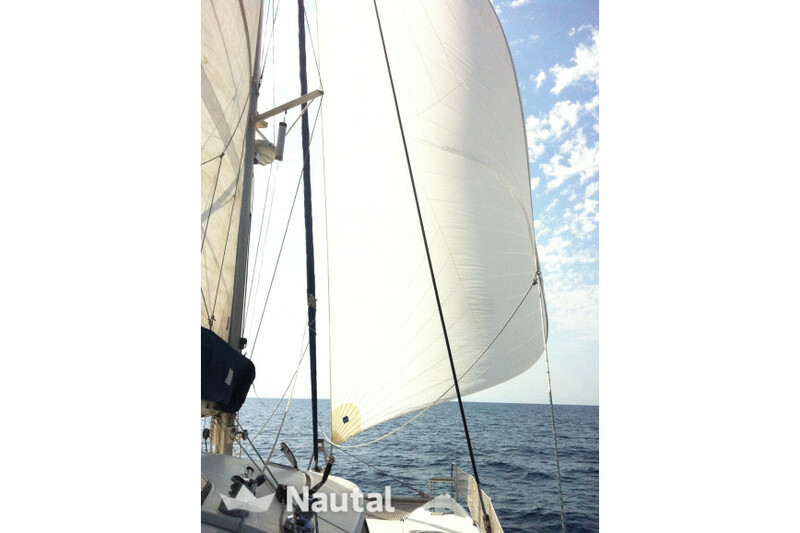 Nautal accredits that Juan is an expert in Vilanova i la Geltrú and will recommend the best sailing routes for you. Anything else you would like to tell Juan?